Waipari is situated at the southern end of Lake Taupo, 25 minutes west of Turangi. Or one hours drive from the popular tourist destination of Taupo. A 5km all weather metalled road provides private access from the main State Highway – suitable for most vehicles. 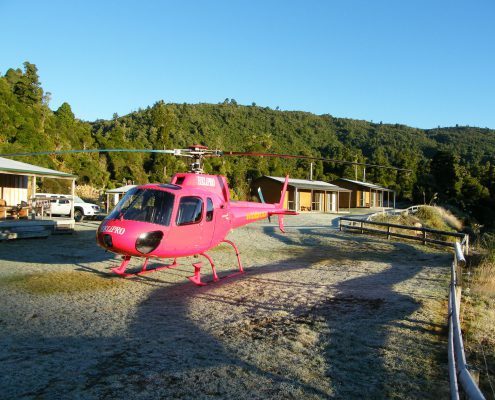 Helicopter transport can be arranged from anywhere in New Zealand to Waipari, and we can arrange transport from Auckland International Airport, or our local domestic terminal at Taupo either by vehicle or helicopter. Click here to load directions in Google Maps.